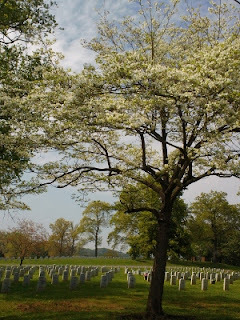 Here are a few Dogwood Trail photos from the Westmoreland Trail. It begins just off of Kingston Pike at Sherwood Drive near Lyon's View. As this map shows, the Westmoreland Dogwood Trail can also be accessed via other points along Kingston Pike and other routes. Drivers are welcome to take an auto tour of the trails in Knoxville. It's a great way to see the trail. However; there is a way that you can leave the driving to someone else. Bus tours are available later in the month and the schedule is online. These make it easy to get around Knoxville, Tennessee so you can relax and enjoy the ride. 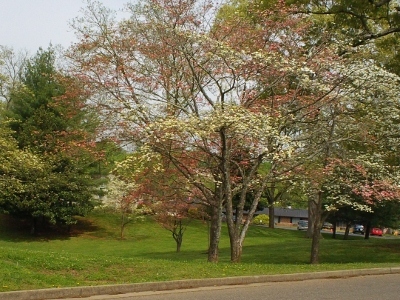 Please note that camera sites on Dogwood Trails and gardens may be on private property in Knoxville. These have different opening dates from the Dogwood trails themselves. The requests of owners should be respected at all times. Westmoreland Trail is scheduled for 11:00 am on Friday, April 13 and Sunday, April 15. The tour will be at 2:00 pm on Saturday, April 14. Each of the Dogwood Trails are more beautiful than the last. It's a shame that there just isn't a way for a camera to adequately capture the trails. Rest assured each one is more beautiful in person. 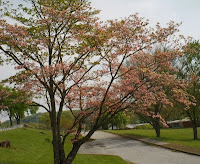 Westmoreland Dogwood Trail entrance near Western Plaza off of Kingston Pike. It is relatively easy to find from campus, Sequoyah Hills or from Bearden Hill. 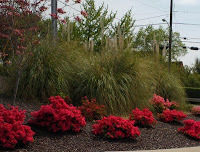 Even the landscaping along the route is spiffed up and ready for display. This shot was taken near the country club. They always do an exceptional job of adding beauty to the area but seem to make and extra effort on the Dogwood Trails. Both of these shots were taken a little farther down the trail. The one with the wide sidewalk was taken at Lakeshore Park in Knoxville, Tennessee. Not only is it a beautiful place to be but it was a great place to get out and enjoy the summer sunshine. The blossoms will be gone all to soon. The color splashes make our area warmer and even more inviting (if that's possible). I can't wait to explore the other trails in town. 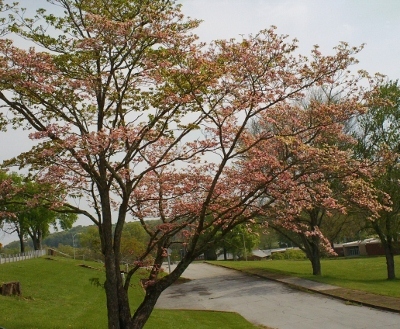 Have fun enjoying Westoreland and the other Dogwood Trails here in Knoxville, Tennessee. They are another reason why Knoxville is my favorite place to live, work and play.